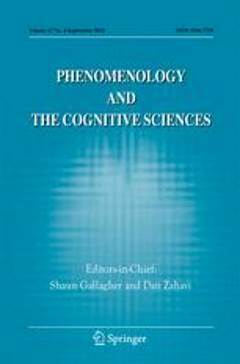 (2010) Phenomenology and the Cognitive Sciences 9 (3). This paper introduces the motivation and idea behind the recently founded interdisciplinary initiative Critical Neuroscience (http://www.critical-neuroscience.org). Critical Neuroscience is an approach that strives to understand, explain, contextualize, and, where called for, critique developments in and around the social, affective, and cognitive neurosciences with the aim to create the competencies needed to responsibly deal with new challenges and concerns emerging in relation to the brain sciences. It addresses scholars in the humanities as well as, importantly, neuroscientific practitioners, policy makers, and the public at large. Does neuroscience indeed have such wide-ranging effects or are we collectively overestimating its impacts at the expense of other important drivers of social and cultural change? Via what channels is neuroscience interacting with contemporary conceptions of selfhood, identity, and well-being? Importantly, Critical Neuroscience strives to make the results of these assessments relevant to scientific practice itself. It aspires to motivate neuroscientists to be involved in the analysis of contextual factors, historical trajectories, conceptual difficulties, and potential consequences in connection to their empirical work. This paper begins to spell out a philosophical foundation for the project by outlining examples of the interaction taking place between the neurosciences and the social and cultural contexts in which they are embedded and by exposing some of the assumptions and argumentative patterns underlying dominant approaches. Recent anthropological work will be discussed to convey a sense of the de facto interactions between neuroscientific knowledge, its promissory projections, and the self-understandings of laypeople. This can be seen as a first step towards a phenomenology of the "seductive allure" that the neurosciences are exerting upon both the academic and the popular imagination. The concept of "critique" relevant to the project's overall orientation is outlined in the final section. Slaby, J. (2010). Steps towards a critical neuroscience. Phenomenology and the Cognitive Sciences 9 (3), pp. 397-416.